Now that the euphoria of this year's San Diego Comic Con is fading, and the hunt for those elusive exclusives has most likely concluded, either through expensive success or a painful admission of defeat, I thought I'd take a look back at my personal highlights from the products shown, and those that are most likely to end up in my collection (and on my credit card statement). Most of the reference pics for these are taken straight from Michael Crawford's great coverage of the event, so all credit where credit is due - it's guys like MWC that allow the rest of us to live vicariously through their SDCC experiences, and I for one am extremely grateful! I’m already locked in to the MS Marvel Premium Format Figure, which is going to be my gift to myself for an upcoming significant birthday (one of those that end in an “0”). I was thinking that Ms Marvel was going to be a bit lonesome, and when I heard that Sideshow was producing the ever’ lovin’ She-Hulk in this line, I thought she’d make the perfect companion. I have to say I am a tad put off by the purple pants, but I am really in love with the headsculpt of this piece. I passed on Sideshow’s Adam Hughes She-Hulk Comiquette because I didn’t like the bimbo-esque portrayal of the lovely Jen Walters, and this is just the antidote – a beautiful, strong and elegant version that is going to look great on my shelves. Mattel’s JLU line is the toy line I just can’t quit. Frustrated with the lack of distribution here in Australia and starved for shelf space, I packed up my JLU collection awhile ago and decided not to add more figures to it, but then Mattel made Amanda Waller, General Eiling, Captain Boomerang and a few other much-wanted firsts, which roped me back in. 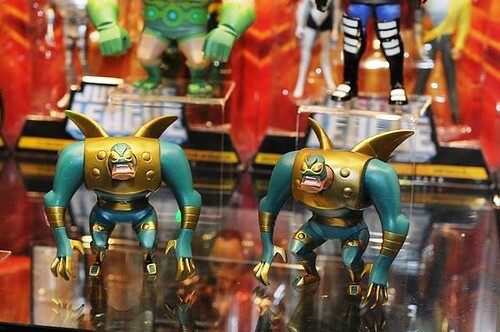 At this SDCC, amongst some gems like Angle Man and Killer Frost, we also saw Kalibak and Parademons. Parademons!! Sigh! The JLU may not be making its way back into my display just yet (them little buggers are hard to keep standin’ up! ), but somehow I’m still going to be spending money on them in the year to come! 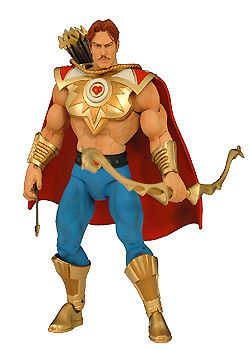 There’s definitely split opinions out in MOTUC fandom land about the revised Club Eternia “All In” Subscription for 2011. It happens to suit me, because I really can’t do the middle of the night get-ups here in Oz to get all of the extras, which are some of the best parts of the line, but I hear the detractors who are put off by not being able to opt out of some of the bigger expenses, and not knowing everything that's going to be included. I liked the look of the characters shown at SDCC, but would have been happier if one of the big “wants” for the line had been revealed, but I still think that there’s enough steam in the MOTUC and PoP lines to make 2011 a stellar year. Turn the clock back a few years, and pretty much all I bought action figure-wise was made by DC Direct. 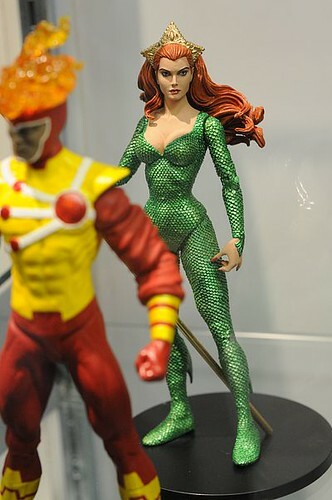 Now, I’m looking forward to exactly two upcoming 6” figures – Mera and Deadman from Brightest Day. After DCD doing a very DCD-type thing by announcing Red Lantern Mera before a regular version, I was pretty stoked to see this one announced and to see her looking fabulous. For sure, I want Mattel to hurry up with their version and make it a classic one, but this is a beauty. Deadman wasn’t a huge drawcard for me to start with, as I’m satisfied with the perhaps slightly too skinny DCUC version, but when I saw that he comes with an unmasked head with a mask prop – sold! Now I just can’t wait for Brightest Day Wave 3, with Hawk, Dove, Capt Boomerang I and.. oh wait, this is DC Direct. I shan’t get my hopes up. I’ve resisted the lure of Hot Toys for a very long time. Those prices don’t translate very nicely into AUD, and that’s not even counting international shipping. 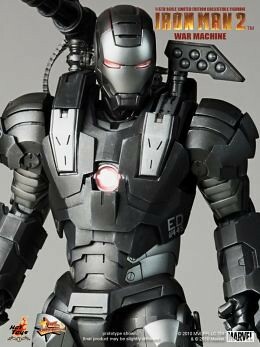 Recently, however, a friend offered me a great deal on a Hot Toys Iron Man Mark IV, and I just know he’s going to get lonely, so it’s a good thing HT is making War Machine as well. Once he arrives, of course, I’m totally quitting the Hot Toys thing. I mean, unless Black Widow ends up needing a home…. Okay, that’s the first half of the Top Ten – I need a breather before I put the rest together – and so will my wallet! You can comment on this post to enter the August AFB Comment of the Month Contest, and don’t forget that there’s still a chance to win the SDCC Orko or Plastic Man toys in our current Contest! this must be the big league of collecting & HT, well i said somewhere they r overvalued, i mean, u can get a better deal for those prices, so i pass... She-Hulk looks fresh & sexi but i quit from statues... anyway these r great selections !!! I love that She-Hulk torso sculpt too....but I just can't get past the purple pants thing. She looks like she's going to boot camp. I think I got off pretty lightly unless I start expanding into new lines (which I can't really afford space wise). Some of the statues were awesome though. Pssssh I still want Hot Toys Iron Man, WM is just gravy for him. JLU is such an inclusive line at this point, if I wanted a massive DCU collection I would go for it. MOTUC is still chugging along, gimme Modulok and I'll be 100% satisfied (maybe). So many nice statues, so little money. WOW no Brigthest day Aquaman because I love it, and the Green arrow and well suprisingly all of them on both waves, it has been a while since I bought complete waves on DC direct! 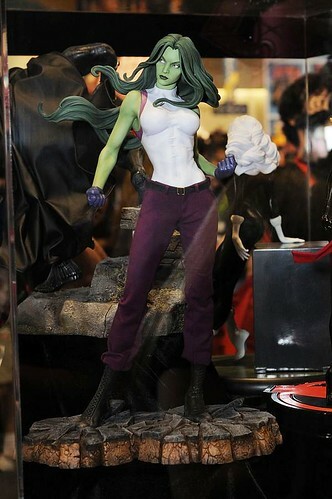 but that She-Hulk mmmm oohh she'll look so nice on my work's desk!! I have to agree that that War Machine is going to be a hot ticket. There have been pre-orders here were started months ago and sold out quickly. Wish I could afford those babies. I like those parademons though. Cute little buggers. the only thing i am looking forward too is Mera for she has been a long time coming. even though her original look should have been done first instead of red Lantern Mera. for motu not collecting the line. jlu not my style the hot toys looks cool but already have war machine and she hulk. some great stuff to be sure but, Marvel Universe is where it is going to be at. Thanos, Captain Marvel and Gladiator are BOSS. Prowl26, I agree. I've already pre-ordered the MU Thanos along with all the ones in that wave. But now I can just imagine how getting him is going to throw off my "X-men and Iron Man only" rule for MU. Gonna have to expand now to get a proper Infinity Gauntlet diorama going. Wow. That War Machine looks great. Hmmmmmm, see, now I kinda LIKE the purple pants on Shulkie. They look soft and fuzzy. Oh, dangit, now *I* want soft n fuzzy purple pants. I probably won't get them, though. I don't get any statues anyway, since I have neither the place nor truly the desire to do so. I'll display figures whenever I build those shelves in my studio, but that's already gonna take enough space. You are the man for the best collection.